In partnership with China Aersospace Science and Industry Corp, Zhejiang Geely, one of China's major automotive firms, will work towards building supersonic trains. 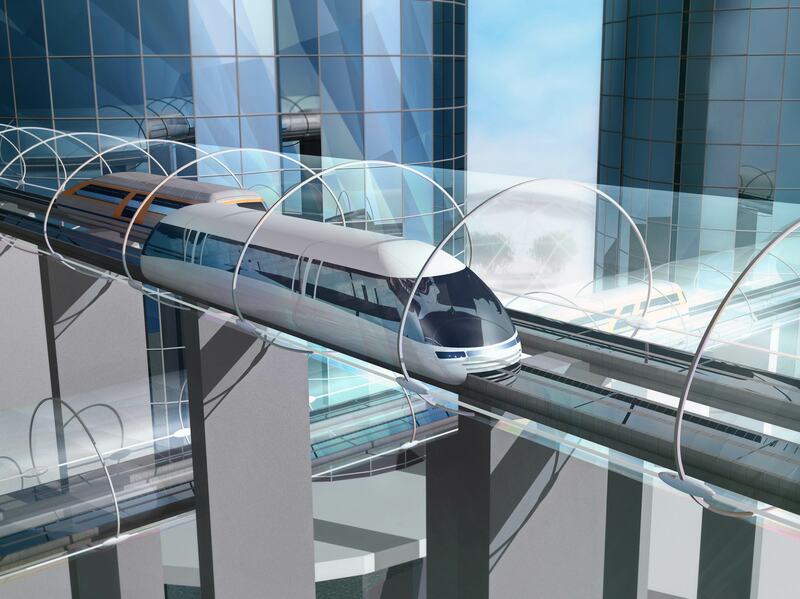 Not all that much different from Hyperloop concepts, the trains will rely on magnetic levitation and vacuum tubes. 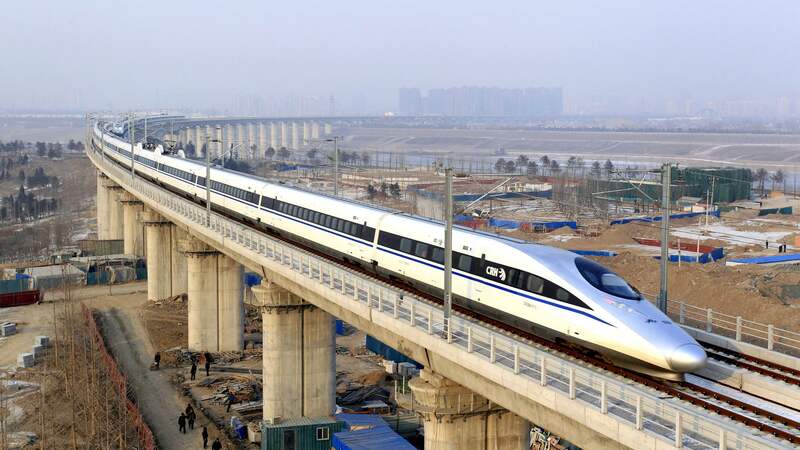 As an operator of the world's longest high-speed railway, China already has good experience working with rapid transit. However, scaling up towards supersonic speeds and beyond poses some new problems that have yet to be fully worked out. Friction between the train and the track is drastically reduced simply by removing physical contact. However, air resistance and heating of the train body becomes an issue as speeds increase. Airplanes for military use have no problem overcoming these issues, but the material costs of building a long train with similar properties would result in a mode of transportation that is still extremely expensive. On a technicality, CASIC and Geely will not actually be hitting supersonic speeds initially. The goal is to build a train that can run at 620mph even though the speed of sound is 767mph. Future improvements to maglev technologies and drawing a better vacuum mean that the trains could theoretically surpass 2,485mph. Geely Holding may not be a household name, but the group does have some important investments. The company holds a significant stake in Daimler and also is the current owner of Volvo Cars. Working with a state-owned firm, Geely gains access to an undisclosed amount of funding for the development of supersonic trains. For now, details on the actual project are sparse. The agreement between the two businesses was signed at an aerospace industry show in Zhuhai, China but details of the contract have not been made public. The speed of sound is only 767mph at sea level. China will prob beat the US to the super highspeed train industry, they already kill us on high speed. Americans would rather drive or fly every where, not something that can happen in China. in the long run the train would be cheaper for the consumer and the government owned company. Man it's a sad world where a centralised government run economy (not communism) is more efficient than the great countries in the West, obviously this is at the cost of cheap/slave labour. Just to add: Geely also owns Proton of Malaysia and thereby Lotus Cars too. So, do not purchase Daimler, Volvo, or Lotus products. Got it. China is considered a communist country, but I would swear that it operates more like a fascist country, or a meld of the two systems. Contrary to popular belief, both communism and fascism are leftist ideologies. We must not forget that Hitler and Stalin had a peace agreement at the start of the WWII, only Hitler became greedy for power and land. The only difference that I can see between the two is that in Germany private ownership was allowed in industry and that was still dependent upon the blessing of the state, otherwise known as profiteering. This difference isn't enough to throw fascism to the right of the spectrum. In my opinion, the extreme right equivalent of either would be Anarchy and I do not believe the majority would want that.